LA Rams quarterback Jared Goff had a big night in an offensive battle against the Minnesota Vikings in Thursday Night Football. Goff posted 465 yards and 5 touchdowns while Vikings quarterback Kirk Cousins had 400 yards and three touchdowns. The Rams defense made the difference in the exciting shootout and came out with a 38-31 victory. The Rams become only the 10th team in the Super Bowl era to post 30 points in each of their first four wins. Thursday night’s game between the Los Angeles Rams and the San Francisco 49ers did not disappoint. The shootout was a battle of offenses where the Rams’ quarterback Jared Goff threw for 3 touchdowns and zero interceptions and running back Todd Hurley ran for 113 yards and 3 TD’s. The 49ers scored 5 touchdowns but a missed point and a tired defense led to their loss. The Niners are now 0-3 (ouch, not a great way to start the season). Rams 41, 49ers 39. 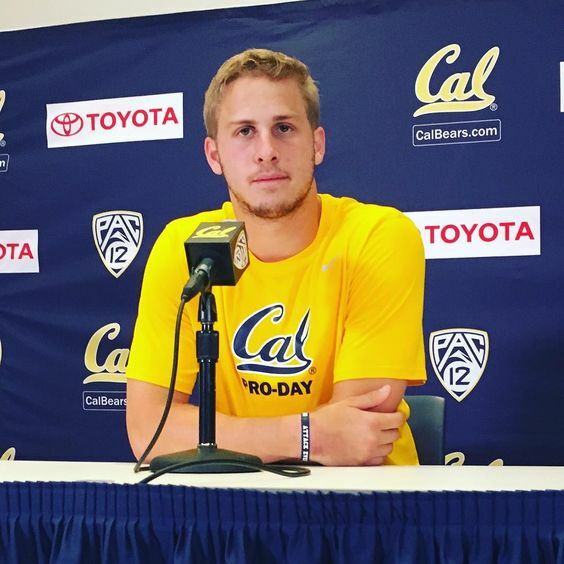 To no one’s surprise, the Los Angeles Rams picked QB Jared Goff from the University of California Berkeley as the #1 pick in the NFL Draft. And, again to no surprise, Carson Wentz went #2 to the Philadelphia Eagles. There was a bit of drama in the evening when someone posted a tweet of Ole Miss Offensive Tackle, Laremy Tunsil with a gas mask on smoking something through a tube. Earlier in the week Tunsil was projected to go as one of the top picks but after the tweet came out Thursday night, Tunsil’s prospects kept dropping. On the 13th pick of the night, however, the Miami Dolphins weighed the risks/reward and picked him up. In another interesting move of the night, the Denver Broncos traded up from the 31st pick to #26 to grab Memphis quarterback Paxton Lynch. With the pick, the Broncos likely ended their pursuit of 49ers QB Colin Kaepernick. In playoff news, the Atlanta Hawks advance to round 2 by eliminating the Boston Celtics in game 6. They are now gearing up to take on Lebron and the Cavs. Hawks 104, Celtics 92.